Look! 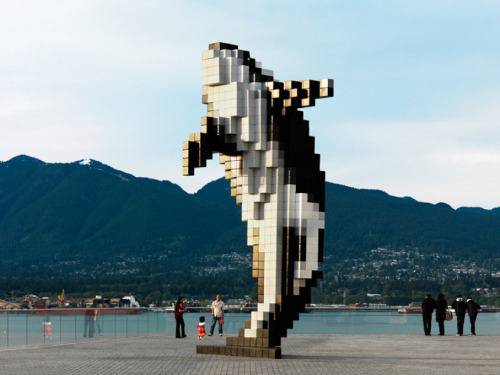 It’s A Huge Pixelated Orca Sculpture? This cool public art was crafted by Douglas Coupland, a Canadian writer/artist of all sorts. It kind of looks like it’s made out of giant legos. I bet you could make something similar with your imagination!